Schoolgirls of the 9th forms from Salekhard and Labytnangi will represent Yamal-Nenets Autonomous Okrug in the United Nations Organization. The session of the United Nations Permanent Forum on Indigenous Issues will take place in the end of April in New York. 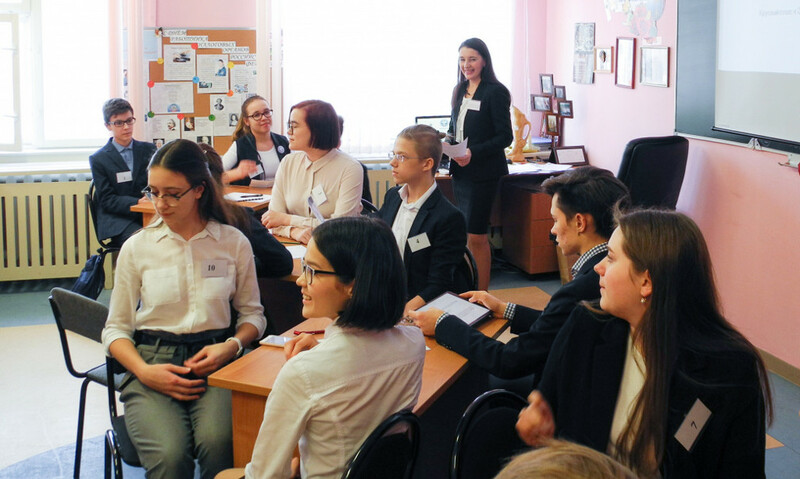 According an expert consultant, the deputy governor of Yamal-Nenets Autonomous Okrug Yevgeniya Titovskaya, the young diplomats from Yamal received the unique opportunity to represent the arctic region at the international level, to tell about the experience obtained in the towns and schools. For this aim the girls – winners passed through the strict competitive selection process, having demonstrated the high level of English language proficiency, organizational and leadership abilities, the skill to understand opponents and colleagues, to solve conflicts. The contest for the participants of the Club of young diplomats took place in two stages. On the first – by correspondence – the schoolchildren made their video-presentations in English on the topic “Why do I want to go to the UN headquarters”. On the second the jury assessed the young diplomats on their speeches dedicated to ecological issues of modernity and ways of their solving. The second tour was held in English and Russian. Ekaterina Arkhipova from Labytnangi showed the best result – 180 points. In addition, all the participants of the second stage of the contest within the delegation of Yamal will go to the International children’s center “Artek” in August-September.